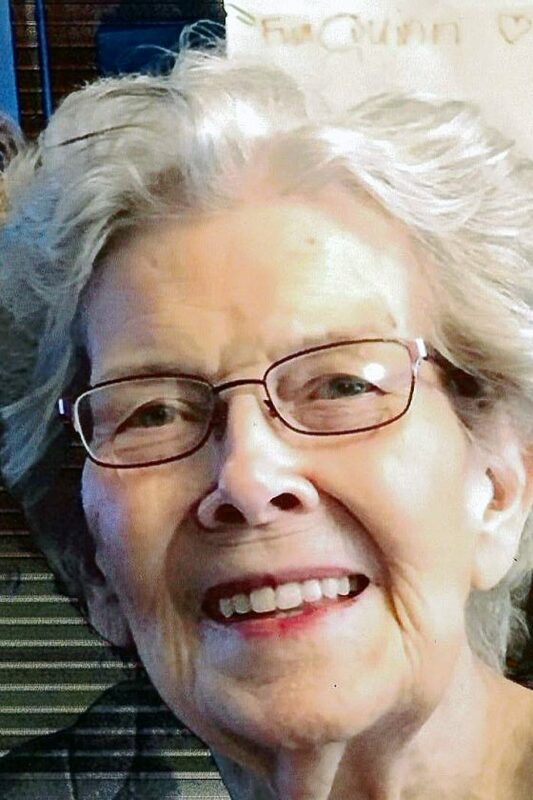 Irene Lovelace, 91, of Webster City, died, Friday, March 29, 2019 at her home. Funeral services will be held at 10:30 a.m. on Tuesday, April 2, 2019 at Trinity Lutheran Church with Reverend Mike Kroona officiating. A private family burial will follow the services. Visitation will be held from 5:00 p.m. to 7:00 p.m. on Monday, April 1, 2019 at Foster Funeral and Cremation Center. Irene Jean Eggen, daughter of Jonas and Martha Hagen Eggen, was born March 9, 1928 in Randall. She graduated from Randall High School. On February 18, 1949, she married Donald Lyle Lovelace in Randall. The couple resided in Webster City. She worked at Northwestern Bell Telephone Company until her retirement in 1983. Irene is survived by her children; Kelly Pozniak of St. Cloud, MN, Lorri (Randy) Johnson of Webster City; grandchildren, Angela (Phil) Miller, Brandon Biggs, Matthew (Laura) Johnson, Lindsay (Dan) Ruba, Jake (Nichole) Johnson, John (Emily) Pozniak; nine great-grandchildren; brother-in-law and sister-in-law, Arnie and Nola Lovelace of Webster City and several nieces and nephews. She was preceded in death by her parents; husband, Donald; brothers, James and John Eggen and sister, Darlene Lean. Irene was a member of Trinity Lutheran Church, Beta Sigma Phi Sorority, Thursday Card Club, CSP and the Moose Family Center. Memorials may be directed to Trinity Lutheran Church in memory of Irene. Irene had a wonderful life and together with her beloved husband of 50 years had many special memories with family and friends. Her greatest joy was seeing her grandchildren and great- grandchildren walk through her door. Irene’s family would like to express a special thank you to Dr. Subhash Sahai and the wonderful staff at Life and Health Care for their years of care for Irene.